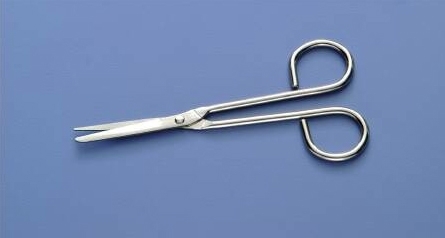 General Purpose 5-1/4’ Medical Scissors that feature one blunt tipped blade and one sharp tipped blade. They are made of stainless steel. The handles are finger ring handle type. Perfect for general medical use.